Last time we discussed how architects and electricians work together. 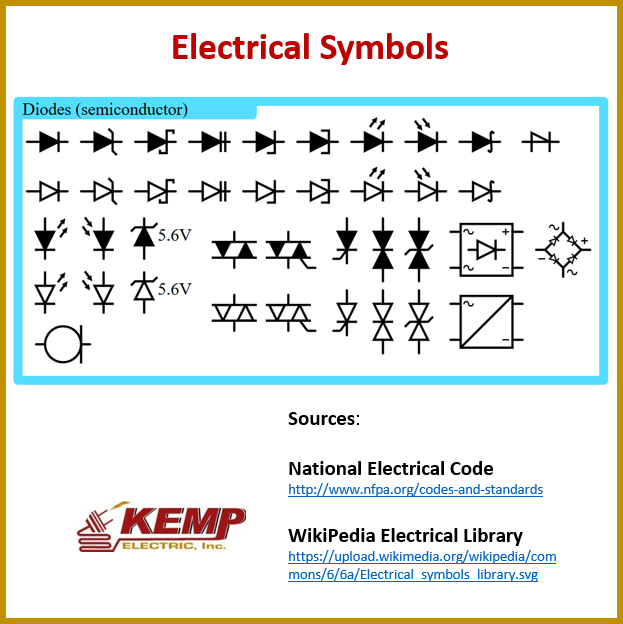 Today, we will look at how electrical symbols are used on an architectural plan to highlight both the location and style of electrical tool / device needed to safely complete a project. 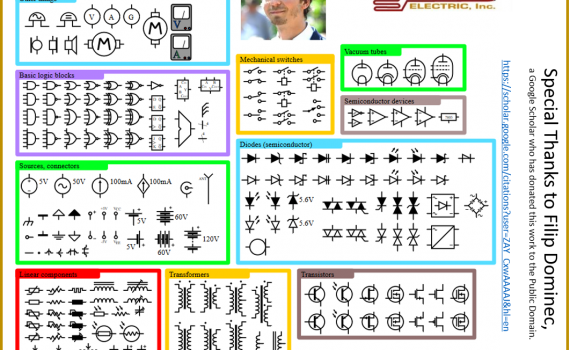 Now, before you get too excited, I want to take a moment to say “THANK YOU” to Filip Domenic and his contributors whom in 2007 was attributed as the copyright owner of the electrical symbols we will share today. Note, that Domenic and his contributors kindly donated the artwork to the public domain. 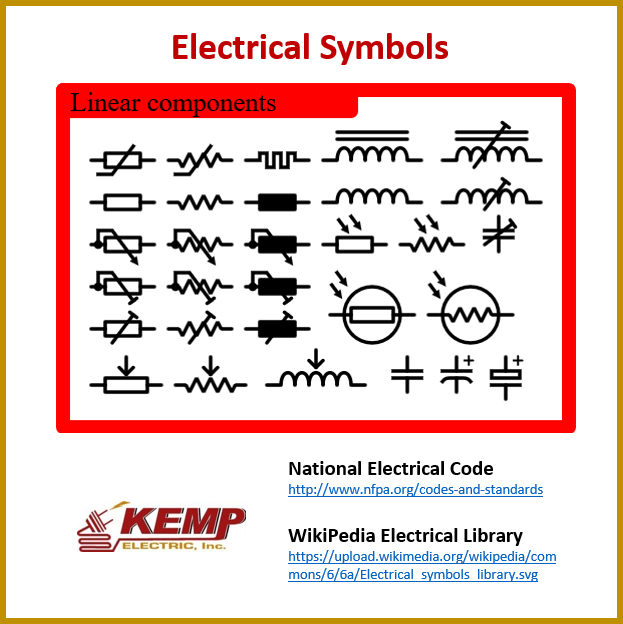 Kemp Electric has simply modified the images with content for curating modern thought. Digital electronics deals with the manipulation of numbers. This is achieved by representing numbers in a digital form and using logic operations to provide the processing needed. Using a wide variety of logic gate and digital circuit building blocks the electrician can successful make this happen today. What is amazing is that despite the countless number of electronic products available within current markets, these fundamental logic blocks, as known as, digital circuits are all used in a basic form. The only difference is the number of circuits contained within a large block. Moving on we have to understand how sources and connectors work. As its name applies, an electrical connector is a device used to bring electrical circuits together using a mechanical assembly. Electrical connectors can be either temporary or function as a permanent electrical solutions joining two wires together. There are more types of electrical connectors than one would care to count. Most connection made with an electrical connector require crimping. The crimping process is not too difficult, but, it must be done correctly. The website Sparkfun, offers a great tutorial on how to master crimping of wire using an electrical connector. If you need a low-cost, but, high quality crimper, we suggest you check out Walmart or the Auto Part Store. Next we have linear components. On March 25, 2016, Shivakshit Patri, comprehensively explained what both linear and non-linear components are, and are not. 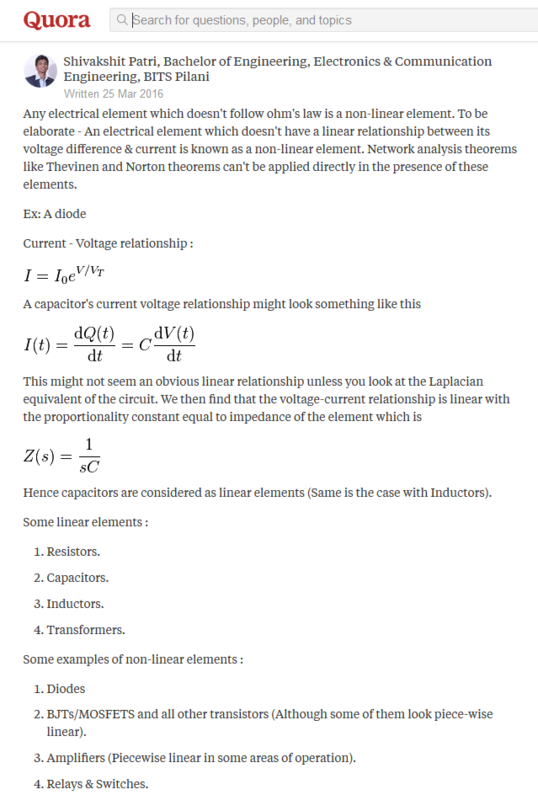 Since, he mentions diodes, let’s take a look at them. A diode is a specialized electronic component with two electrodes called the anode and the cathode. Most diodes are made with semiconductor materials such as silicon, germanium, or selenium. The fundamental property of a diode is its tendency to conduct electric current in only one direction. Now, let’s take a look at transformers. 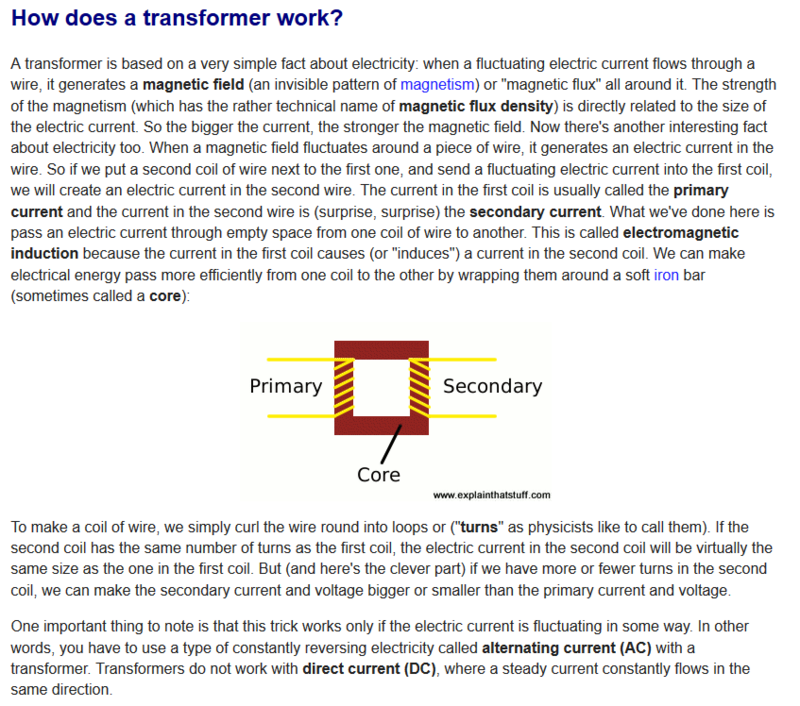 No, not the Hasbros Cars that turn into robots, but rather the type of transformer explained by Chris Woodford on Explain That Stuff.